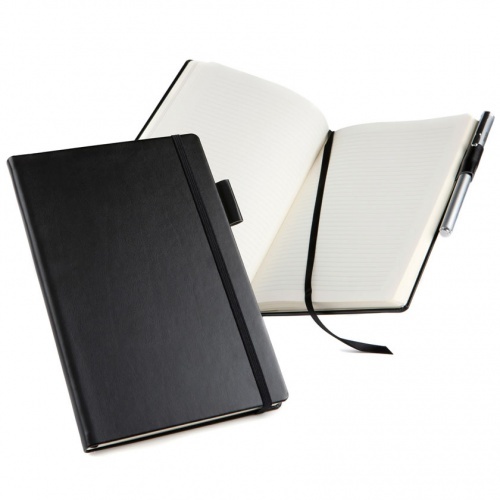 Quality A5 notebook with black soft-touch PU Belluno leather covers. 192 lined pages. Elastic strap to close. Pen loop. Ribbon page marker. 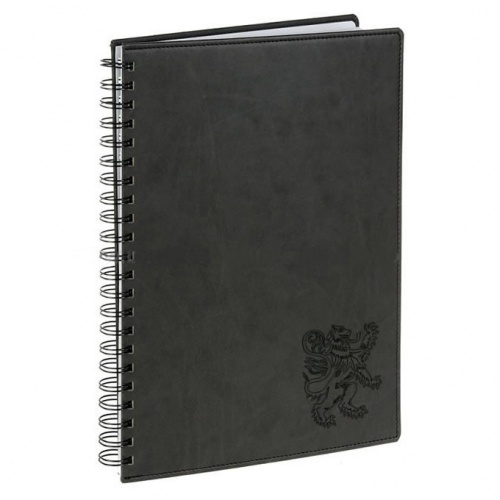 Spiral bound notebook with hardback cover in black PU leather finish with stitched edges and rounded corners. 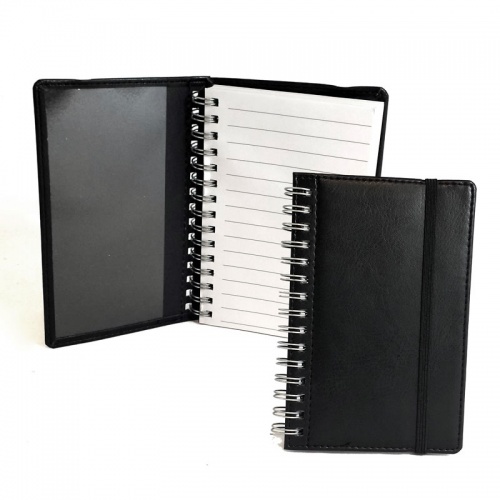 Pocket sized (105mm x 175mm) jotter notebook with black PU leather cover and elastic retainer. Stitched edges, approximately 80 lined pages. 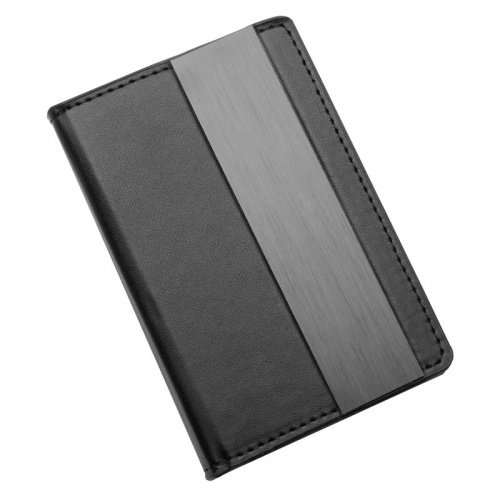 Pocket-sized (115mm x 77mm) memo pad holder in black PU leather, complete with pen and internal pockets. 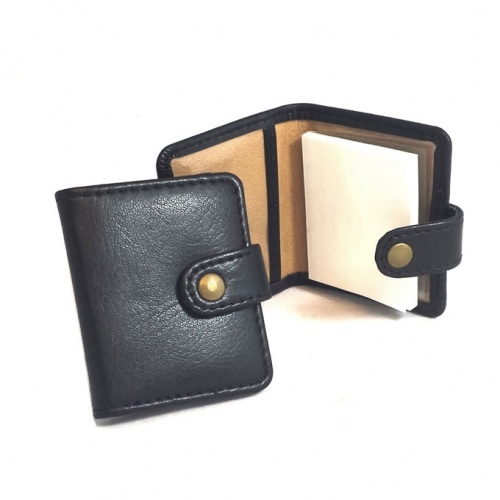 Very small (50mm x 60mm) sticky notes booklet holder with black Belluno (PU) leather cover and stud-fastener. 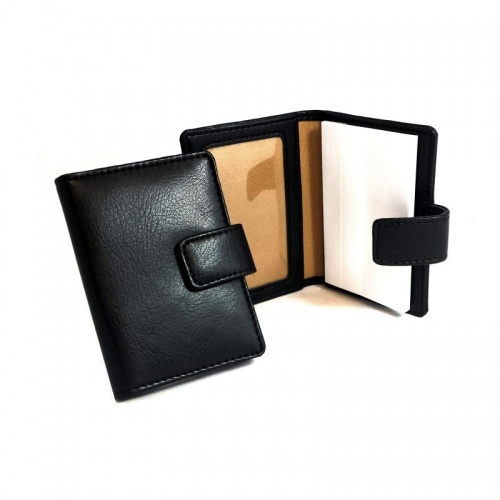 Small notepad in black Belluno leather cover with clear card sleeve and second card slot. Ideal engraved, offered with free engraving. 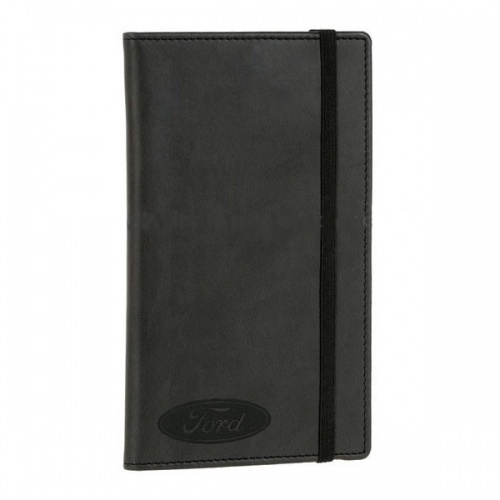 Spiral bound notepad with black Belluno soft-touch leather cover. 135 x 90mm, includes elastic retainer. Offered with free laser engraving. 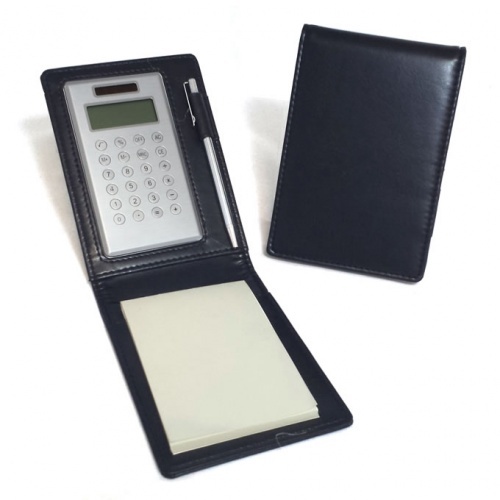 Pocket notepad with flip-top black Belluno leather cover enclosing jotter, calculator and ballpoint pen. Offered with free laser engraving.